Feisty parrots, alien cockroaches, crazy ants, and cats bearing frankincense and myrrh. It's an all-animal edition of What's Ruining Our Cities! 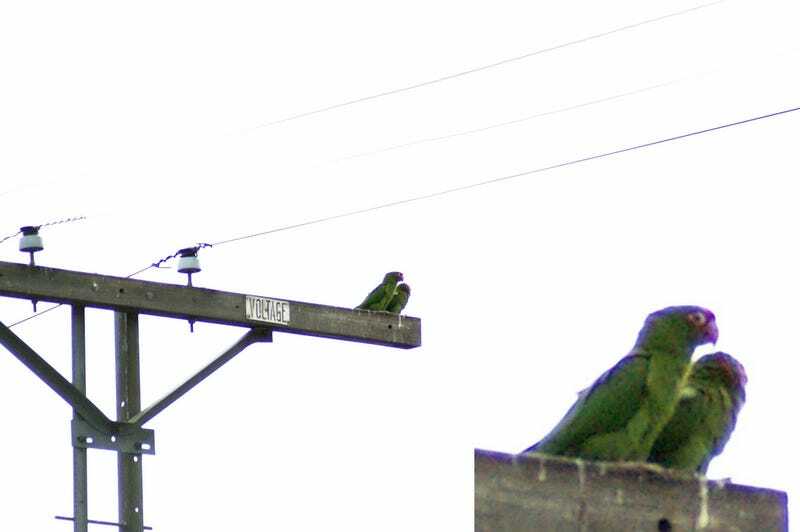 Wild parrots on powerlines in South Pasadena, by Tim Watson.